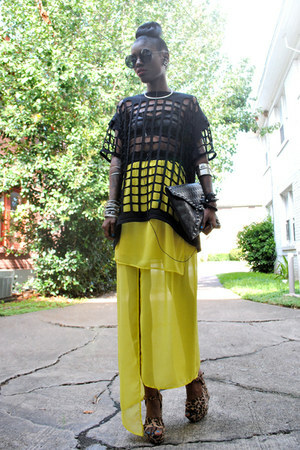 The first Montrose street style blogger to showcase her look on Chictopia was MsVintageVirgin in Winter 2010. She styled her black christian dior jailhouse beetlejuice striped bla blazer with a white christian dior jailhouse beetlejuice pinstripe vest vest, white thrifted basic white man blouse blouse, and black Modern Vintage ankle stiletto booties shoes. 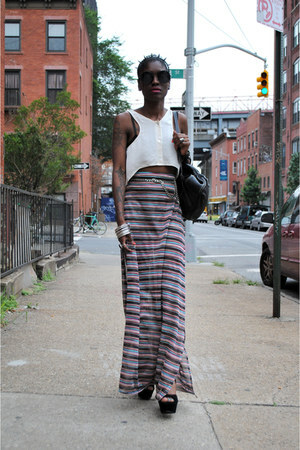 Since then, 9 Montrose street style bloggers have uploaded over 72 photos of their personal style to the community. Popular brands worn in Montrose include thrifted, beginning boutique, romwe, and Zara. In winter 2012, blogger MsVintageVirgin styled her dress on Chictopia.